Kathy recently delivered a tailor made training program which specifically addressed our training needs and she also provided us with a fantastic procedure manual which we can refer to in the future for any queries that we may have in using MYOB. The training was delivered in a straight forward, practical and friendly manner which made it interesting, easy to understand and relevant to our day to day processing. Her knowledge of MYOB is unquestionable and we benefited from her experience when she showed us what functions we can use on MYOB to work more efficiently and how to produce reports in the future. We really enjoyed working with Kathy and look forward to working with her form now on. The feedback was all positive, they all said it was very relevant and all the things they wanted covered was covered accordingly. 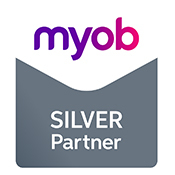 Kathy helped us out a lot, none of us had very much experience with MYOB at all. She made sense of it all in very easy to understand terms and showed us that it’s not very complicated at all. She has a well developed training program which shows you all the basic skills required to use MYOB effectively. I would recommend Kathy to anyone who finds the prospect of MYOB daunting and complex. Kathy has worked on my accounts for the past 7 years and has been very meticulous and efficient. I have loved the fact that she has reorganised my office to make it more functional and effective for my financial record keeping. I would recommend Kathy to any business that requires structured, organised and effective bookkeeping. During that time she has developed and systematised office procedures. She assessed and forecasted the IT needs for the growth of the business. In addition purchased and installed a network of 5 computers, sourced appropriate software, installed it and developed training programs for the support staff. The business uses Apple computers and she is familiar with all aspects of the Mac hardware and software, including set-up of new hardware, installation of Mac OS software, installation of third party software, troubleshooting hardware and software conflicts, set up of internet and web based software, set up of MYOB AccountEdge (mac specific). She has also developed a comprehensive, user-friendly procedures manual. This is a living document and evolves as the needs of the company grow. She has developed training programs specifically for our business and keeps our staff updated in the use of MYOB. I find her to be honest, reliable, loyal and conscientious. She is extremely organised and displays impeccable personal standards. She is a highly independent individual with good problem solving abilities. Kathy is well regarded by her peers on a personal and professional level and I would have no hesitation in recommending her in any capacity. Kathryn helped me to learn about running my business when I was just used to working in my business. Kathryn has been an important part of the growth of our business. Providing friendly support on time when we need it. She has always been incredibly helpful and is a wealth of information. Essentially it boils down to Kathryn as the person that demonstrates a definite commitment to partner with us, with expertise in bookkeeping and accounting. We have recommended Kathy to several clients to assist with bookkeeping and MYOB Accounting and have always found Kathy’s knowledge and experience especially in MYOB set up and training to be of extremely high standard. With Kathy’s assistance our clients’s are able to supply us with more accurate work which has resulted in them reducing their year end accounting fees. In addition our clients are able to have one on one training with Kathy whenever they require help. We would have no hesitation in recommending Kathy.